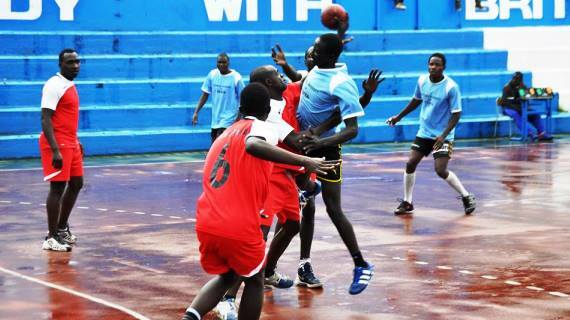 Eastland’s Based Black Mamba held nerves to overcome Technical University of Kenya men’s team 29-24 in a tightly contested Kenya Handball Federation National League match on Sunday afternoon. The light afternoon rains made the conditions at the Nyayo National Stadium tricky to navigate but players from both teams were quick to adapt the state of the playing surface. In another fixture, Ulinzi dismissed SPU 30-20 but SPU recovered to narrowly defeat Boomerang 28-26 in their next match on the same afternoon. In the ladies category, Nairobi Water white-washed SPU 57-04 in a one sided affair while Ulinzi ladies were awarded walk over after Technical University Ladies team failed to show up.